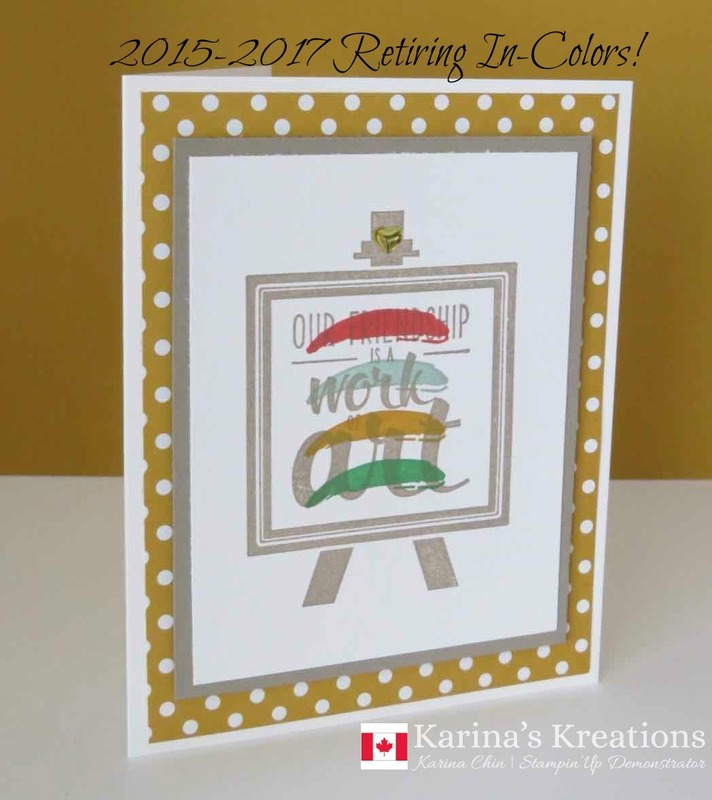 Karina's Kreations: Stampin'Up Painter's Palette! Do you have any of these 2015-2017 Retiring In-Colors? If you do, it's time to stock up. If you place your order before March 31, you'll also get a free sale-a-bration item. I made this cute card using the Painter's Palette stamp set #141910, Tip Top Taupe, Watermelon Wonder, Mint Macaron, Delightful Dijon and Cucumber Crush ink. 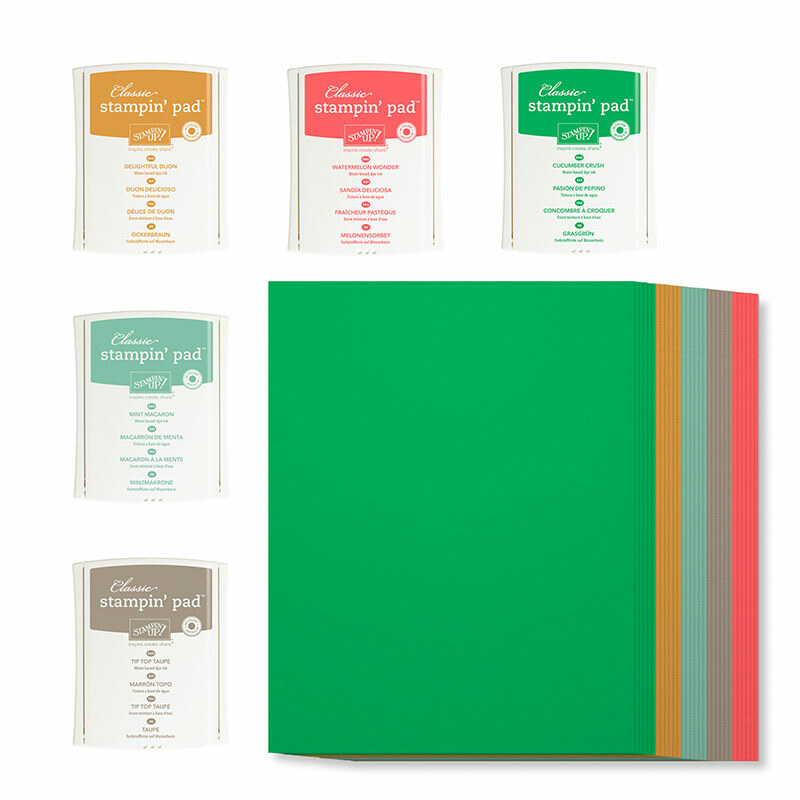 The designer series paper is the In-Color Designer Series Paper Stack #138432. It's easy to make a cute card when you have coordinating designer series paper. Cucumber Crush #138335 card stock $10.00, #138329 Ink Refill $4.25, #141429 Ribbon $10.75.